Since the very beginning, Citizens Advice has been at the forefront of providing free, confidential, independent advice. 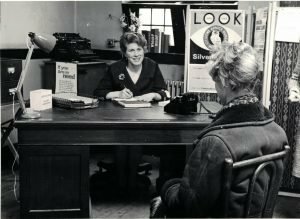 Nationally we started giving advice in 200 locations on 4 September 1939, the day after World War Two started. But these services didn’t wait for people to find them – instead they ventured out into some of the areas worst affected by the Blitz to find those in need. They gave advice to whoever needed it on a range of issues including evacuation, what to do if they’d lost their home and how to get a new ration book. But we’re increasingly working on very different kinds of problems too. We help people understand their consumer rights and pension choices, deal with energy suppliers and act as a witness in court. We’ve helped people like Gail, who after speaking to us wrote to her energy company for wrongly charging for oversupplying her with more gas than she’d paid for in advance. Last year, like every year, we helped millions of people find a way forward. We had 25 million visits to our digital advice. Our 1,500 web pages of advice were viewed 34 million times. 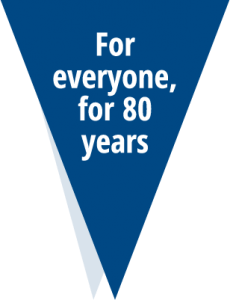 Locally Citizens Advice Mid-North Yorkshire helped over 9,000 people in 2018-2019. Whether it’s Universal Credit, problems with utilities, unmanageable debt or issues renting a home, 7 in 10 of the people who came to us last year said we helped solve their problem. We will also be joining in with national celebrations throughout the year, as well as our Annual Celebration Day taking place in September 2019, further details which will be published nearer the time.